Some equipment is motorized for travel on a fixed path, while other types of motorization control the movement of the beam, bridge, hoist, or trolley. 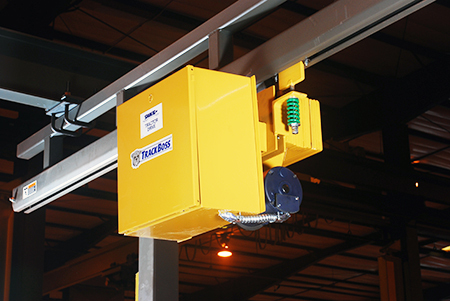 So, what are the different types of overhead crane motorization, and which one can benefit your application? Power drive kits are designed for gantry travel, usually over a fixed path. Gantry cranes are fitted with casters or pneumatic tires to make manual travel easy for workers. But, power drives are used for high-volume, high-capacity gantry travel along V-groove tracks, guide angles or trackless paths guided by control pendants. Power drive kits often consist of two drives with drive wheels and sprockets; chains; two gear reducers; two single-speed, 230/460V, 3-phase, TEFC motors; two idler assemblies, a standard travel speed of 50 FPM; and multi-speed AC inverter drives. 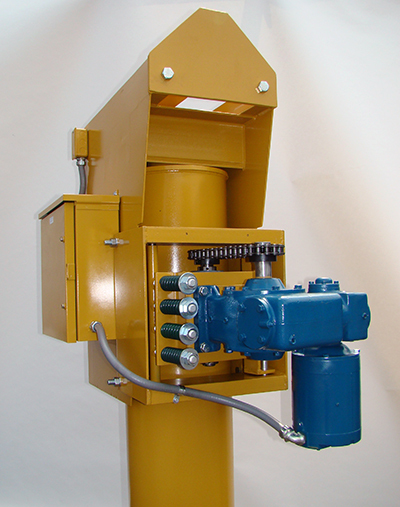 Power drives are used for two main gantry types: double-leg and single-leg gantry cranes. Double-leg gantries consist of two motors driving steel V-groove wheels along a fixed path. The track consists of an inverted steel angle welded to a flat stock for smooth gantry travel. 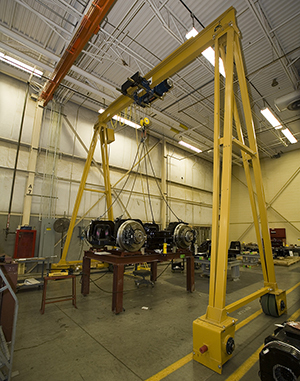 Single-leg gantries use a top-running end truck with one end of the crane traveling overhead and one end supported by a single leg and trackless power drive. 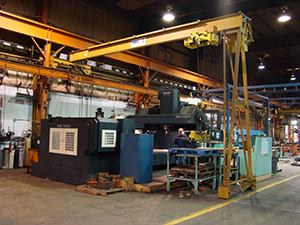 Jib cranes can be fitted or retrofitted with a jib drive for easy motorized boom rotation. They’re ideal for powering rotation of heavier loads or when your production area makes manually rotating the jib boom impractical or unsafe. Most jib cranes are fitted with direct chain and sprocket drives to accurately and easily position loads. 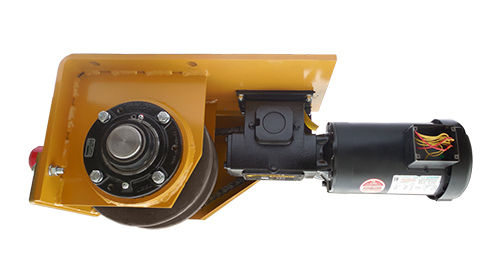 These drives deliver positive traction, eliminating slippage problems that are consistent with some tractor drives or drives which power roller assemblies. The direct chain and sprocket design is also better for roller durability because it isn’t directly driving the load-bearing roller assemblies. Most jib drives consist of a field-adjustable torque limiter for drive protection, along with a worm gear reducer in an oil bath lubrication for long-lasting operation, and a TEFC 30-minute rated motor with thermal overload protection. Tractor drives are used to motorize the travel of a hoist trolley or bridge on a workstation bridge crane. These are often used when loads regularly exceed 1000 pounds. These drives are extremely helpful when transporting material into hard-to-reach areas where operator movement is difficult due to, machinery, work tables or other obstacles. Adding an enclosed track tractor drive to your workstation bridge crane or monorail will motorize the pushing, pulling, and positioning of overhead loads. Tractor drives are multi-faceted, as they can be used to convert a push-pull manual bridge crane to a power-driven crane, a monorail system from manual to power, and a push-type manual trolley hoist to a motor-driven trolley. They are particularly useful for workstation bridge cranes when the operator can’t stand beside the load due to obstacles like production machinery or worktables. Tractor drives can also speed up cycle times when moving heavy, large, or awkward loads. They can also be used with longer spans or wherever manual movement isn’t possible. Most tractor drives consist of standard 208 to 575V, 60 Hz, 3-phase power; electric or air motors, single or two-speed push-button controls; wheels with permanently lubricated, sealed bearings; a worm gear reducer; and a tow bar mounting clevis. Whether you need to power gantry travel, jib rotation, bridge movement, or hoist/trolley movement, motorization can make your material handling process easier and safer. 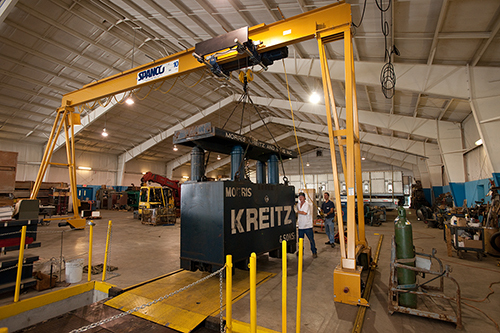 If loads are too heavy to push or pull manually, or if your facility doesn’t allow for manual movement due to obstacles, motorizing your overhead crane is a great solution. 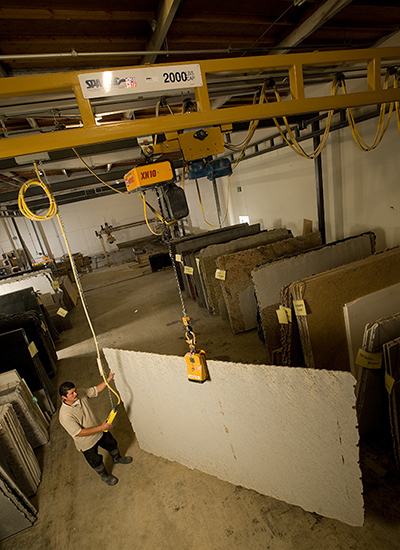 Manual movement of heavy or repetitive loads can be difficult for operators, potentially causing injury or worker downtime. 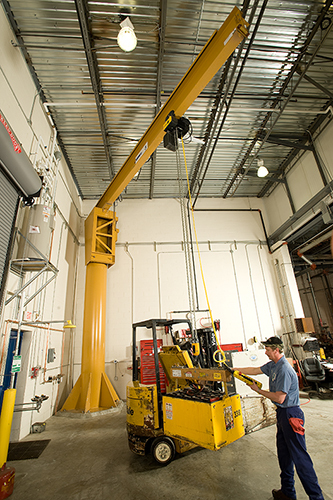 Fitting or retrofitting your gantry, jib, or workstation crane can minimizing workplace injuries, prevent downtime, and greatly improve production processes.